Sometimes in fashion, even the classics change. The same is true for packaging. 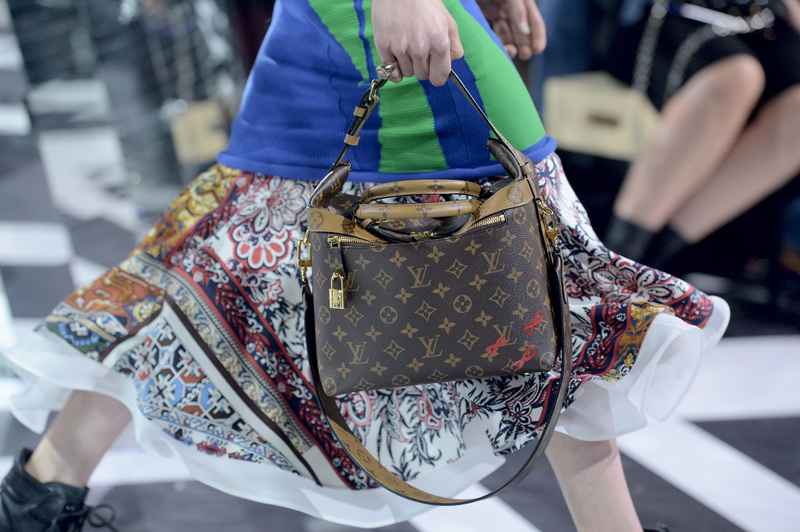 According to WWD, Louis Vuitton is changing their packaging, opting for a brand new look. Since 2003, you've seen the high-end handbag company wrap your purchases in chocolate-brown packaging that matches its classic pattern. But sometimes change is a good thing, even for the most recognizable brands in fashion. The color of the new packaging will go from a deep brown to a bold, tangerine-like orange, which is perfect to debut during the summer. The official name is safran imperial, which translates to imperial saffron, according to an article from Allure. If you're in or near a Louis Vuitton store, you might already be seeing these bright-colored packages pop up. The bright orange is complemented with a royal blue strap, a concept that Michael Burke, chairman and chief executive officer of Louis Vuitton, says isn't supposed to be just "fashionable." "It's supposed to have quite a long life cycle," Burke says in an interview with WWD. "In most cases, brand colors play off of black and white. We wanted to be different." Doesn't it remind you of the Hermes packages a bit? I wonder how long this new look is going to last before another change. Fingers crossed it'll stay for a while — I'm a fan!